That line hits me because it presents me with a dream that, in moments, I believe to be attainable. I may be wrong. But when watching the sunset from a clean beach, sitting atop a mountain, zooming past rice fields, swimming under waterfalls, floating on crystalline seas, slipping through majestic caves, or eating extra asim Sinigang with heaps of soft rice, I imagine this could be paradise. Might we build heaven – with no poverty, suffering, or oppression, and with justice, peace, and prosperity – in these islands? Can we build a country no Filipino would wish to escape from? I found myself shuffling around Verona like an alert and happy zombie. The setting for Romeo and Juliet’s tragic love affair was my second stop (after Venice) on my lone journey through Italy. For reasons unknown – maybe the cold, the nonstop walking, running around with my backpacker gear, tight boots, or all of the above – my bad knee swelled slightly bringing about sufficient discomfort a.k.a. pain. Thinking, “But when am I ever gonna be back here? 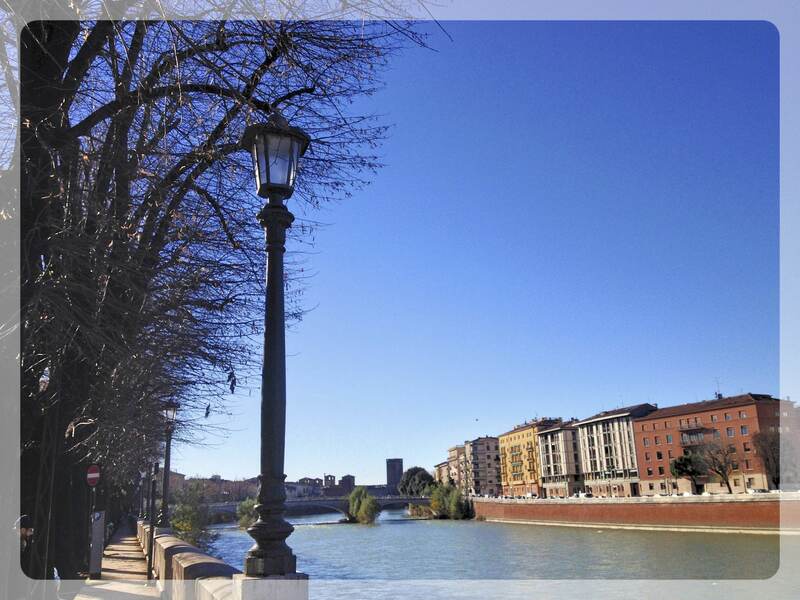 !” I pressed on and limped around for as long as I could before heading back to my cozy hostel Castelvecchio. I remember arriving by train, unsure what to expect but giddy with excitement! With my directions on hand and all my bags in tow, I walked from the train station, stopping by a convenience store to ask for directions. 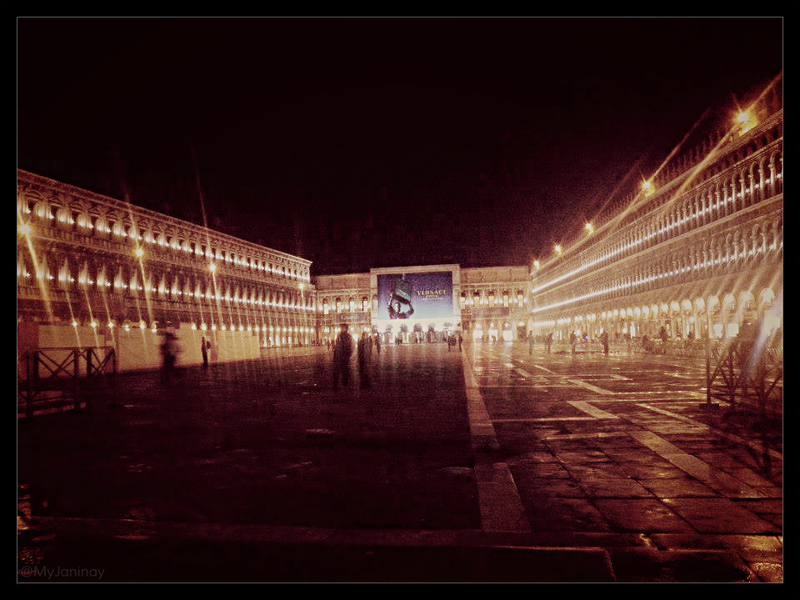 It was definitely different from Venice – streets were wider and there were actual vehicles to look out for. 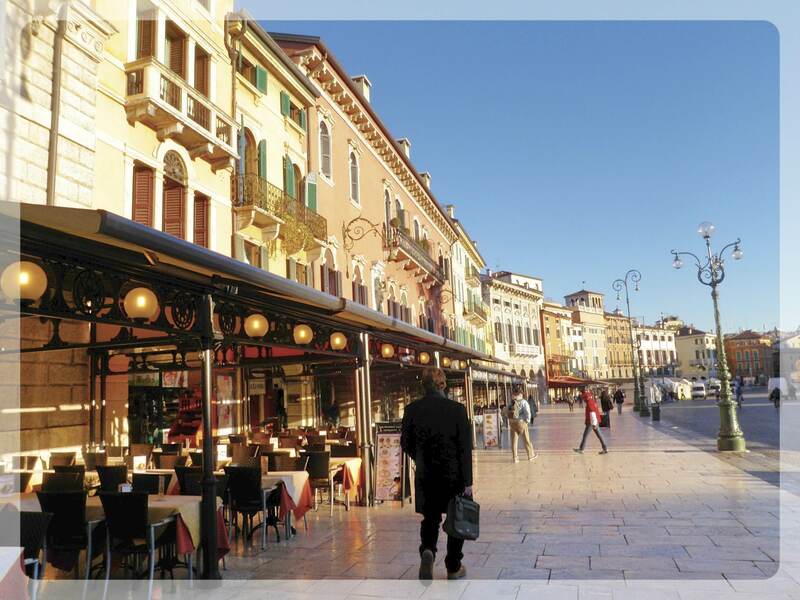 I loved Venice but was tickled by Verona’s small-town charm. Though my knee was uncooperative, I was super happy! Check out the… what is that? An icicle? A shooting star? Anyway, I think it was there as Christmas decor. I walked around their mini coloseo – a teaser for my Roman excursion. Wandered around the delightful center where they had a food bazaar and a carousel set up for the Christmas season. I remember ducking into smaller streets and finding the statue of Garibaldi. I sat on a bench by the statue for a bit. Then, with a stupid grin on my face, I inconspicuously stomped over the beds of bright and crunchy autumn leaves. Heehee! I found my way to Casa di Giulietta and got caught trying to add my name on the hardened gum art… Sorry! But can you blame me for trying? This little lady was a long way away from home – in Europe for ze first time! Hehe. 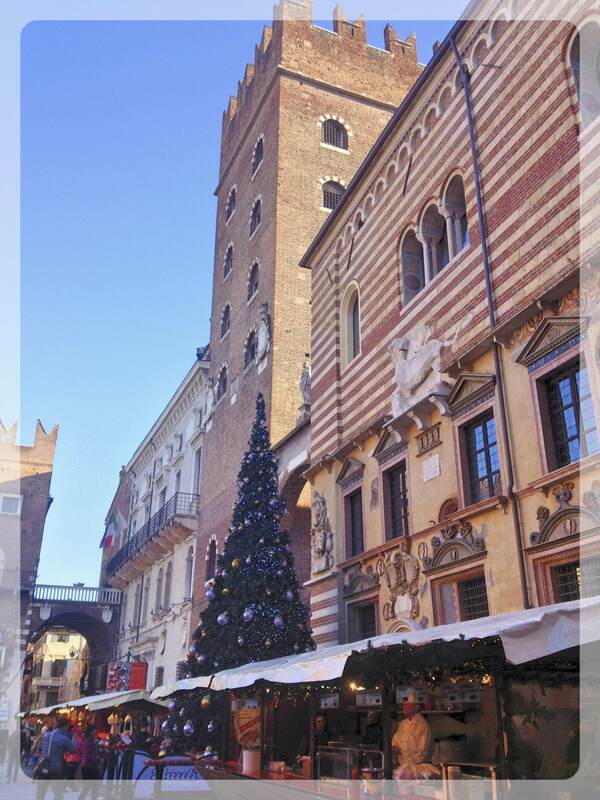 Ok, ok. Time to hobble back down the Torre dei Lamberti and be greeted by the cutest Christmas bazaars. I shuffled over to the Duomo to take some photos before heading back to my cozy home for the night. 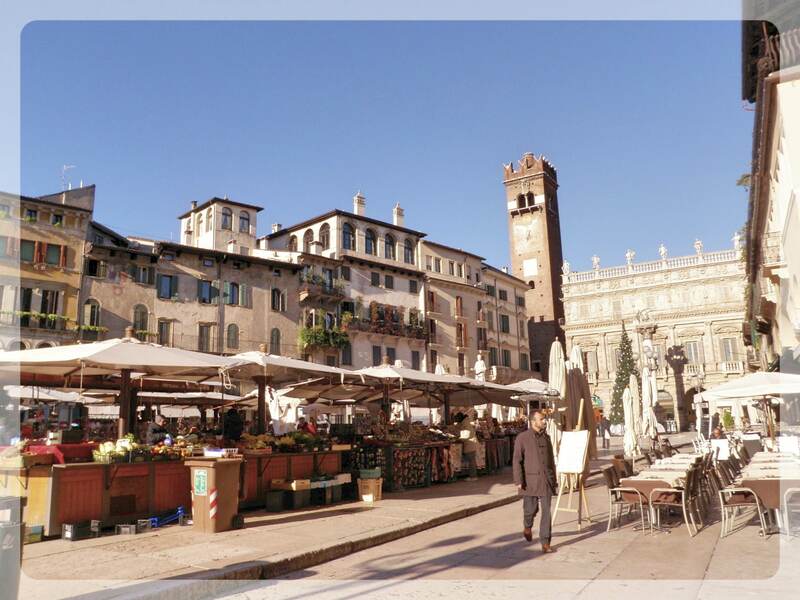 Unfortunately, I didn’t get to see Castelvecchio, nor was I able to do much food tripping… Still, I had a clear, bright, and magical day in the city of Verona! I found myself well beyond my shire and on an adventure I wasn’t quite fit for. 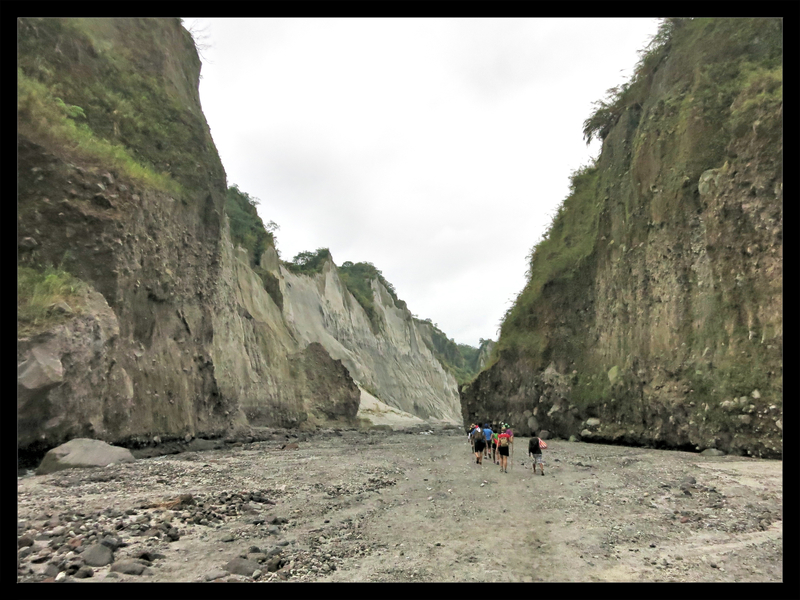 For a lethargic couch potato with a bad knee, the quest to the crater lake of Mount Pinatubo was daunting. The confidence boost came from the knowledge that elder folk and kids would be joining the trek. 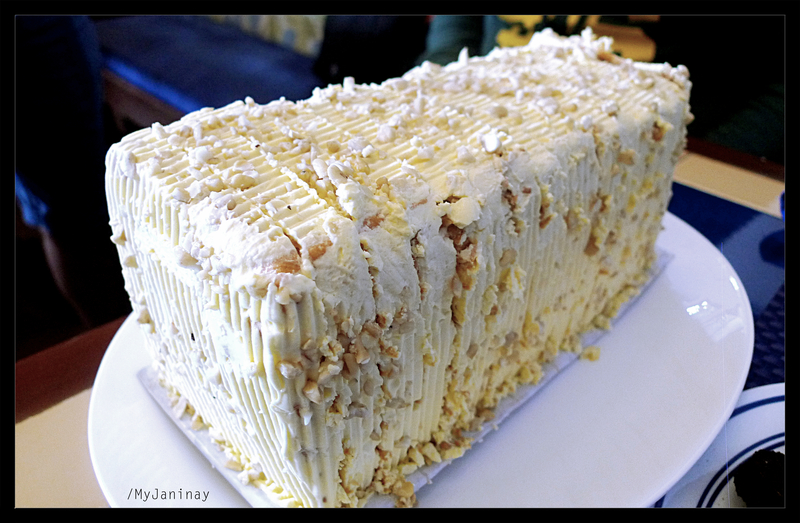 I could keep up with them naman siguro… right? Haha! Bottom line is, I made it! So you can, too. In fact, you don’t feel the incline until the final stretch to the crater. And since you’ll be so focused on finding a trustworthy spot to place your next step, time dashes by. 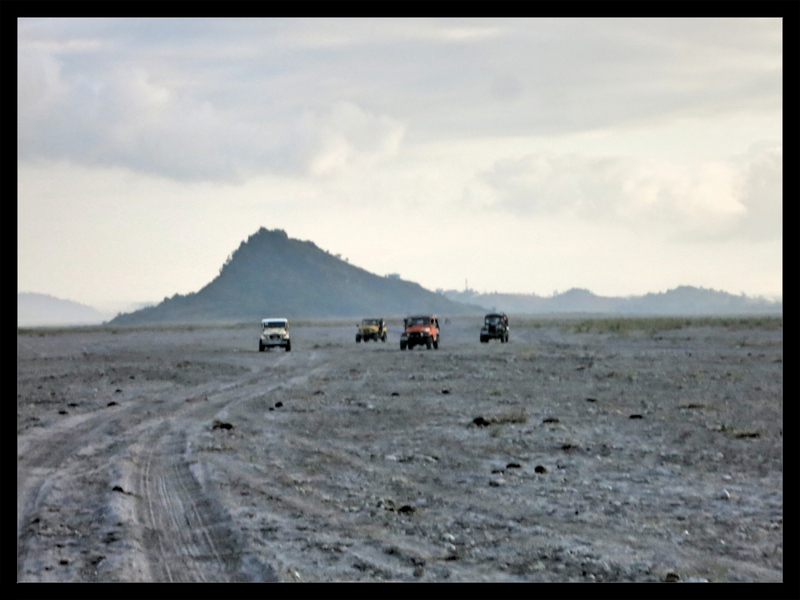 The trip begins early from the jump-off point with a bumpy hour on a 4×4 to the foot of the volcano. The trek to the crater takes around 2 hours. The most challenging section of the trip for me would be the staircase of, maybe, 200 steps to get to the lake. But oh, what a magnificent sight – still waters floating within the crater of a sleeping volcano! it’s the pot of gold at the end of the rainbow; the treasure under the spot marked “X”; the pièce de résistance! The sights along the trail are also awe-inspiring, should you take the time to look up and around. Mountains of ash with remnants of mini landslides. Boulders and rocks and stones and pebbles. Cold streams – wide and tiny. 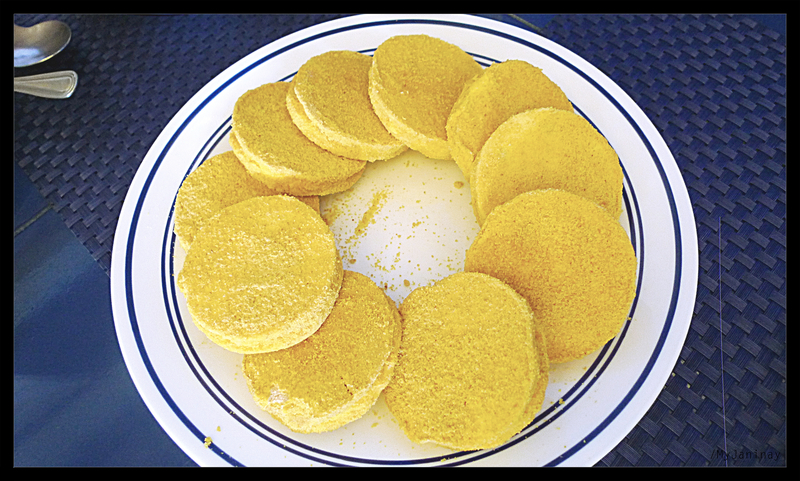 Sulfur stains. Local tribespeople with smiling faces and genuine greetings… To think, this is the same volcano that gave us the second largest eruption in the 20th century. 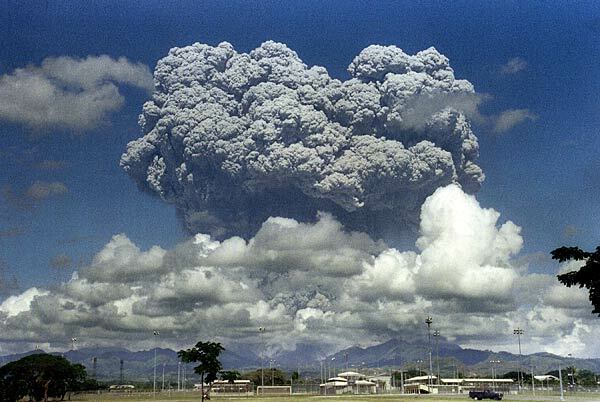 After 600 years of dormancy, Mount Pinatubo erupted in June 1991. Clouds of gas and hot ash burst into the air and flowing lava gushed out of the volcano. Hundreds of lives were taken and the world was stunned as the the global temperature dropped and the color gray rained throughout the Philippines and as far as Singapore. 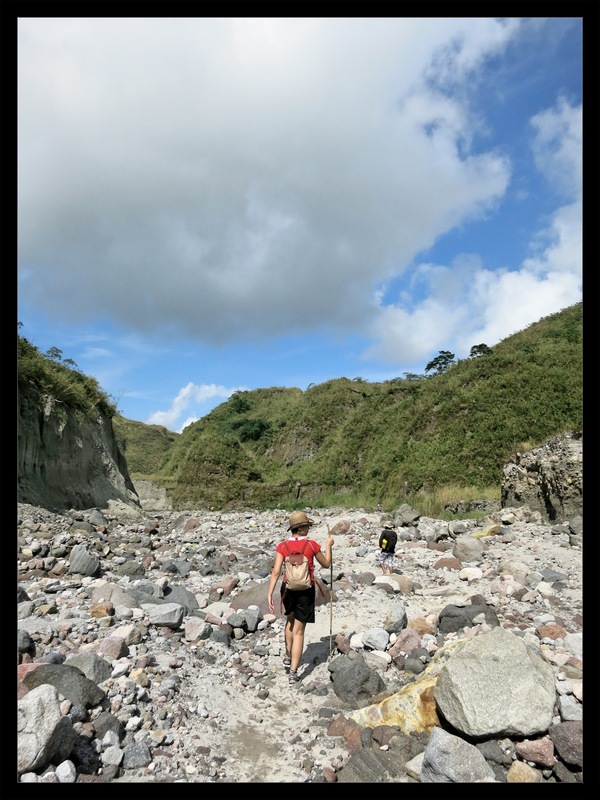 A river of volcanic mud ran through Central Luzon taking lives, livelihood, and homes while changing the landscape forever. 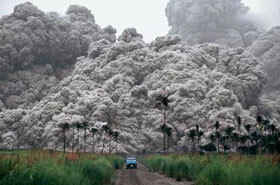 Mount Pinatubo would erupt again throughout 1991 and 1992. The stillness of the crater lake, the calm sound of gentle streams, the permanent placement of boulders and smoothed stones, the delicate hills of dust… The beauty you find along the Pinatubo trail is a testament to the catastrophic Mount Pinatubo eruption in 1991. While trekking, naturally, you’ll be looking down and ahead most of the way. But do not forget to peel your eyes from the path and appreciate the glory of nature – sheer and brutal beauty. Step into the shot and take lots of photos and videos. Enjoy the scenery. Horror gifted us with this serenity. 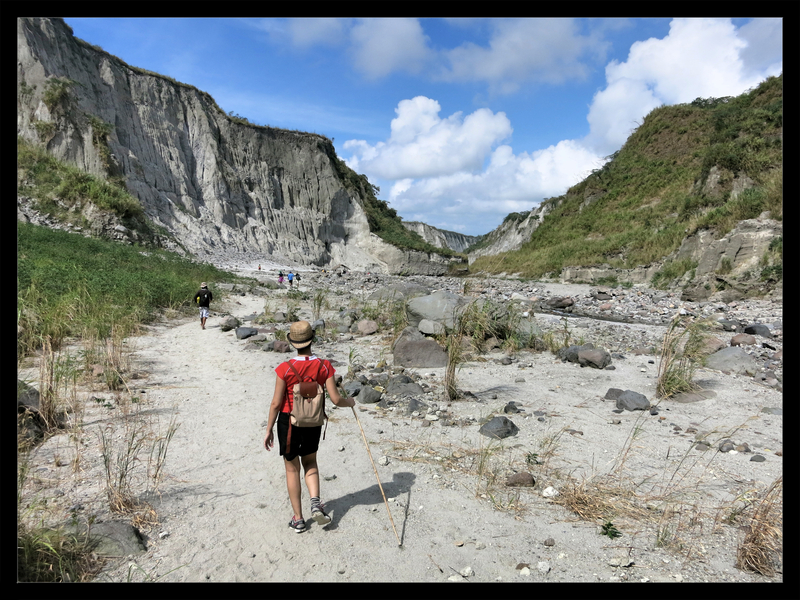 If you’re looking to go on your own Mount Pinatubo adventure, there are lots of tour providers from Manila. We used Allan Bognot, who also owns a pension house at the jump-off point. Doing the trek early in the morning was great! It got quite chilly (this was end-December). Use sunscreen. Your trek back which will be around noon to 2pm and you’ll feel the sun much more then. I heard it’s extra hot on any other time of year! 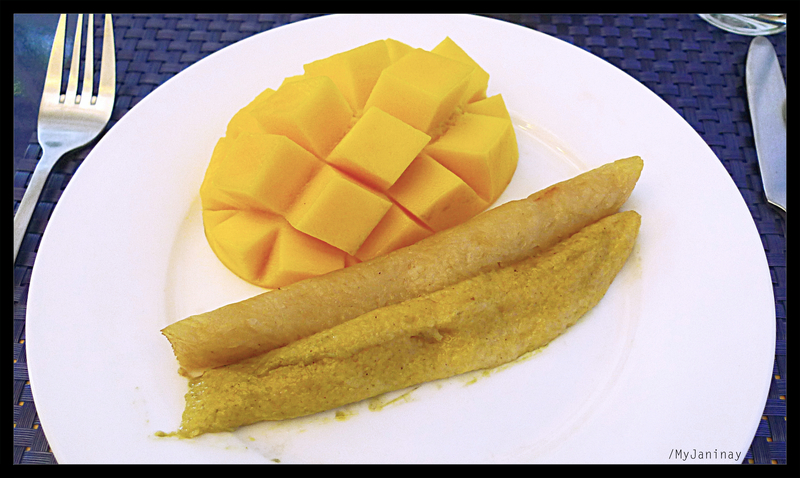 Eat a big breakfast and bring snacks (my tummy was grumbling on the trek back). Use comfortable shoes that you don’t mind getting water and sand in. Hiking shoes would be best. Check this link out for tips and an alternative tour package. 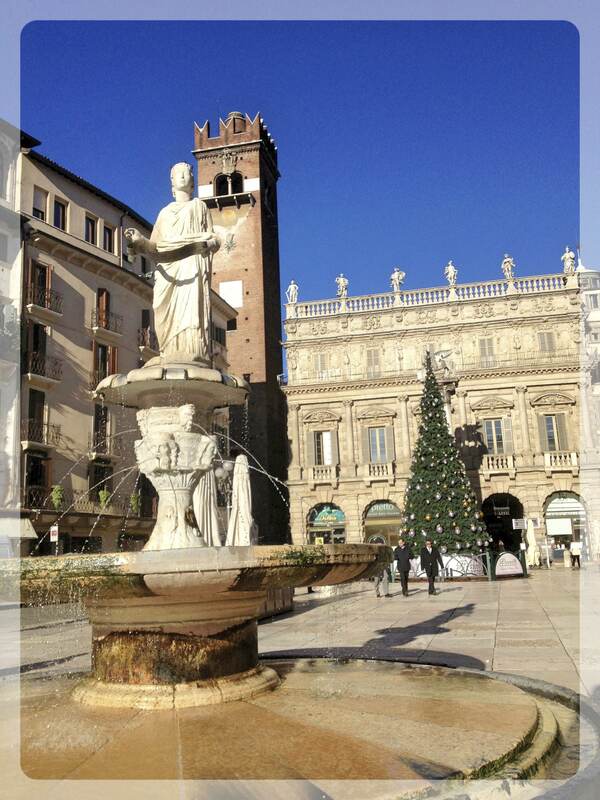 This is the story of my lone backpacking trip across Italy from Dec 1 to 9, 2012. First city - Venice! If you want to know how I prepared for it or how you can do it too, click here! I found myself in Europe for the first time in my life, alone & ecstatic. I could barely contain my excitement! 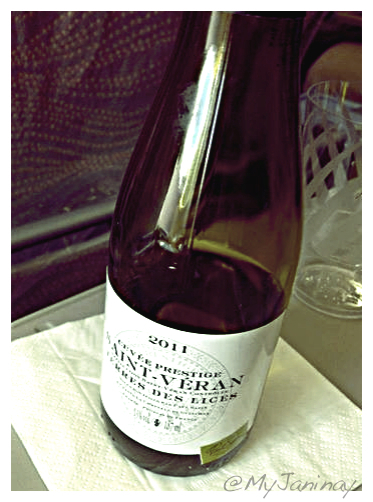 Even the plane ride was a celebration (with my teeny bottle of wine)! I’ve always wanted to see Europe but, sadly, financial limitations never let me. Off to Venice from Dubai! 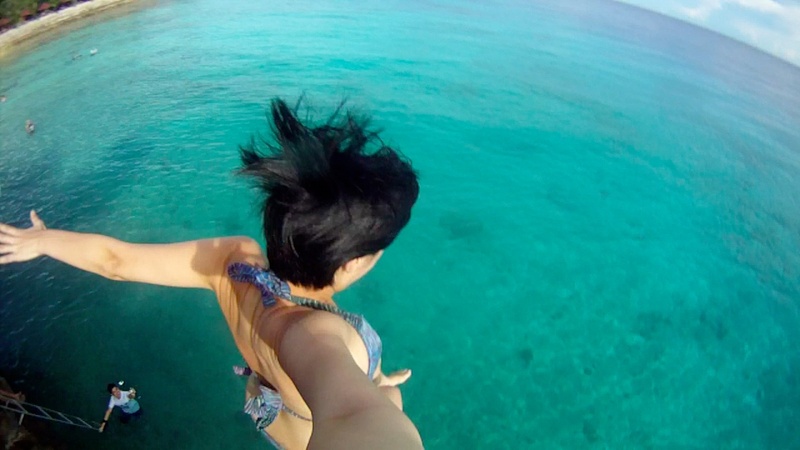 To be completely honest, I was envious of friends that would go on trips outside the Philippines every summer. There were times I would travel with my family to Hong Kong, Singapore, or Bangkok – but never out of Southeast Asia. And I knew that if I wanted to go anywhere further, I’d have to find my own way. Then there I was, armed with my backpack and plans, ready and eager to travel across Italy for nine days! I was awestruck at my first sight of glorious Venice. I recall having a huge smile plastered on my face as I desperately quashed the tears welling up. All previous memories fell short of that moment. And nothing could stop me from taking a photo – not the cold winter wind, thick gloves, heavy bags, or fear I wouldn’t find my hostel! 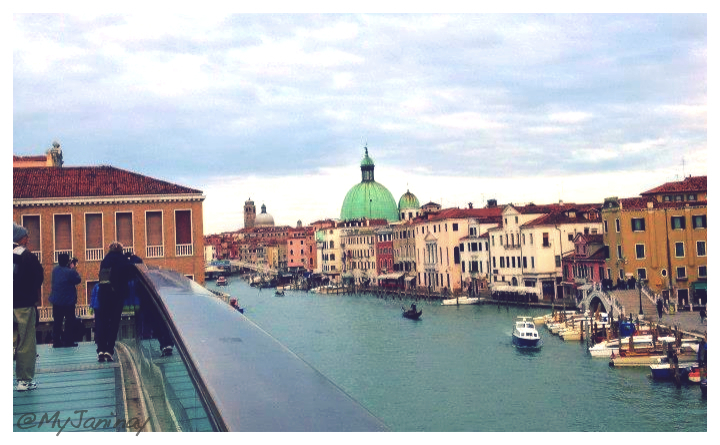 My first stunning view of Europe – the enchanting city of Venice! I walked through the main street (Venice is a car-free zone with over 100 little islands connected by 400 or so bridges!) 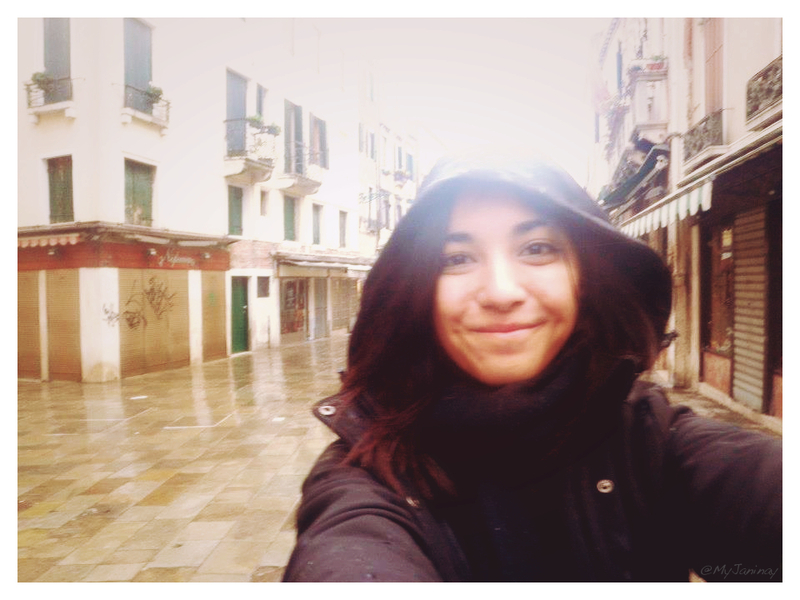 until I found my hostel – the Venice Fish. After checking in and depositing my bag, I headed out to wander aimlessly around the city. 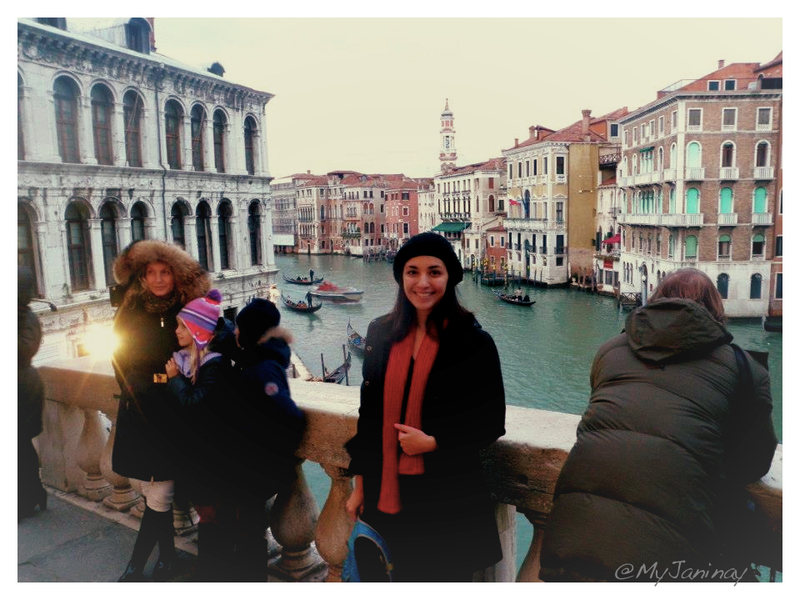 I followed the crowd to the Rialto Bridge, the oldest bridge across the grand canal. I listened in on a couple speaking English and asked them to take my photo (as I did theirs, naturally). 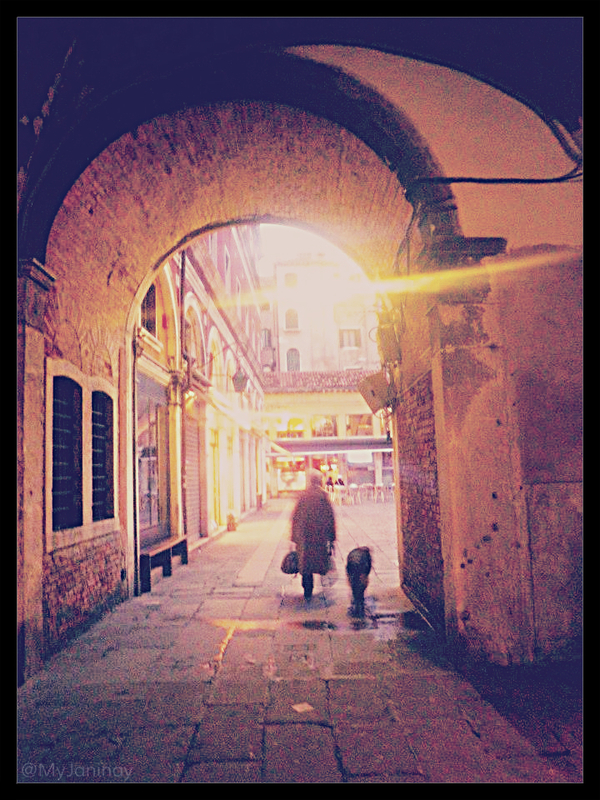 I walked through little alleys and looked inside some shops as the sun started setting. It started getting dark and COLD. 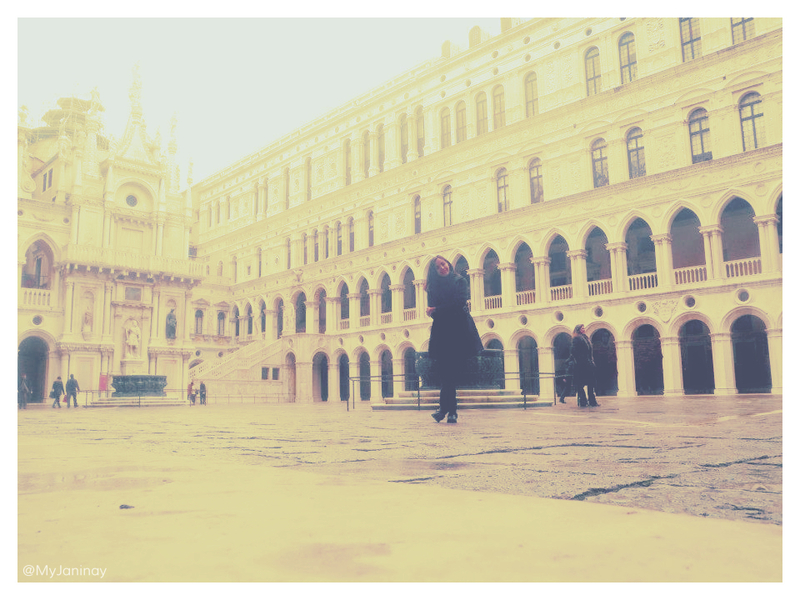 I ducked into an open café and gifted myself with a cup of hot chocolate before making my way to the famed Piazza San Marco. I sat right in the middle of it all and munched on my cheese and crackers. 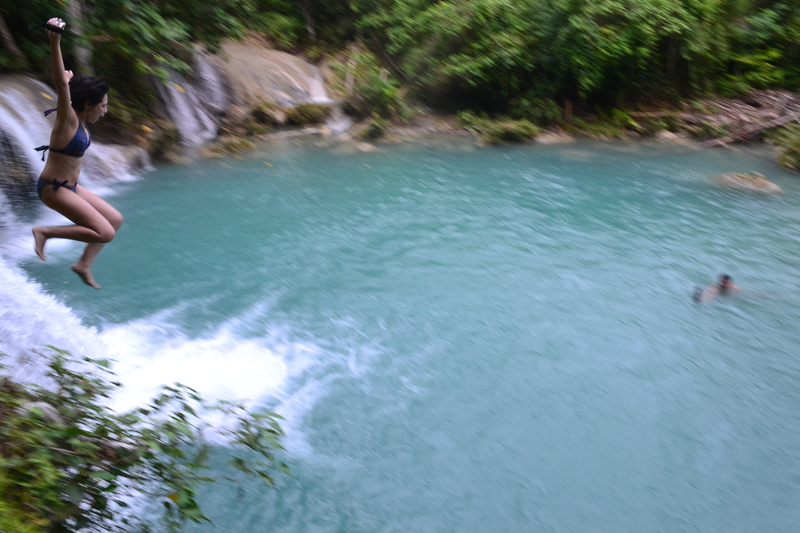 I would’ve stayed longer if not for the weather and my tropically inclined body. 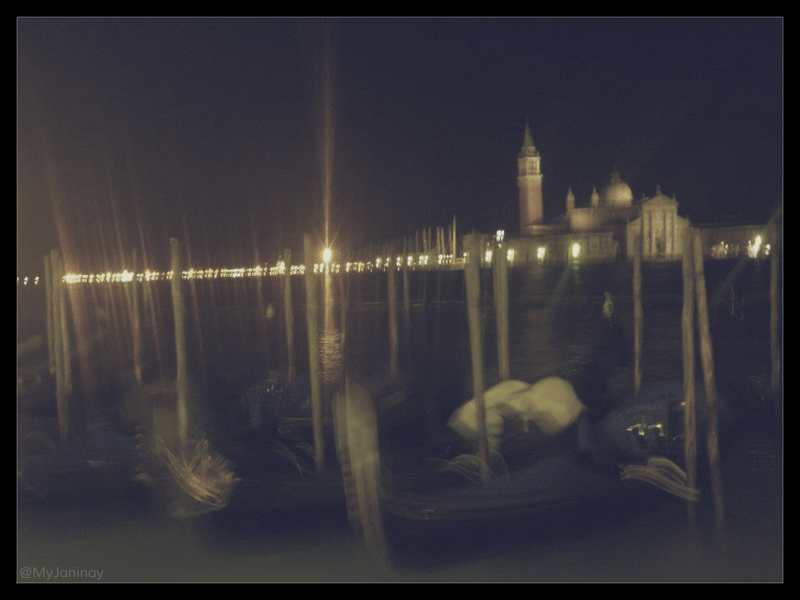 I walked over to where all the gondolas were docked and felt the loneliness as I looked over at the beautiful view of the Basilica di San Giorgio Maggiore. Snapping out of my Venetian trance, I made my way to the vaporetti station. I desperately tried to figure out where my hostel might be on their map and which stop I should get off… Thanks to my awesome apps and innate navigator skillz, I got it right! The rest of the night was filled with wine, card games, and then escaping from the younger college kids at the hostel (who wanted to get drunk in the streets of Venice). I was happy to be left behind, slightly buzzed, with an empty hostel and the bathroom all to myself! It was a very, very good thing that I opted for sleep that night. My next day was busy and tiring! I woke up early to head to the train station to purchase my biglietto (ticket) to Verona then off I went past the Ponte degli Scalzi or Bridge of the Barefoot Monks to try and find the Peggy Guggenheim collection housed in Palazzo Venier dei Leoni. In Venice, even the walks to the points of interest are interesting! There are so many ways to get to one site thanks to random, unplanned little streets. I loved my stroll! I saw a lot of interesting statues & churches and, thanks to Triposo, I was able to appreciate their significance. I got lost in art with the Guggenheim collection (Hello to Picaso, Pollock, Mondrian, Ernst, & Warhol!) and paid my respects to Peggy Guggenheim who was buried there beside her beloved doggies. After grabbing a prosciutto and mushroom pizza to go, I made my winding way back to a flooded St. Mark’s Square, excited to tour the Palazzo Ducale. Inside the Doge’s Palace, you learn about the history of Venice (centered around politics) while walking within the home of the city’s supreme authority – the Doge or Ducale. My favorite room was probably the one with all the humongous maps and globes (but unfortunately, you aren’t allowed to take photos inside)! I knowingly spent too much time in the Doge’s Palace so I anticipated the rush to catch my train. I made my way, once again by vaporetti, to the hostel, grabbed my packed bags, and ran to the station only to miss my train by seconds! (Just like in the movies!) I ended up wasting time waiting for the next train in the freezing station. It was time spent reflecting on my day, planning out Verona, and doing some people watching. 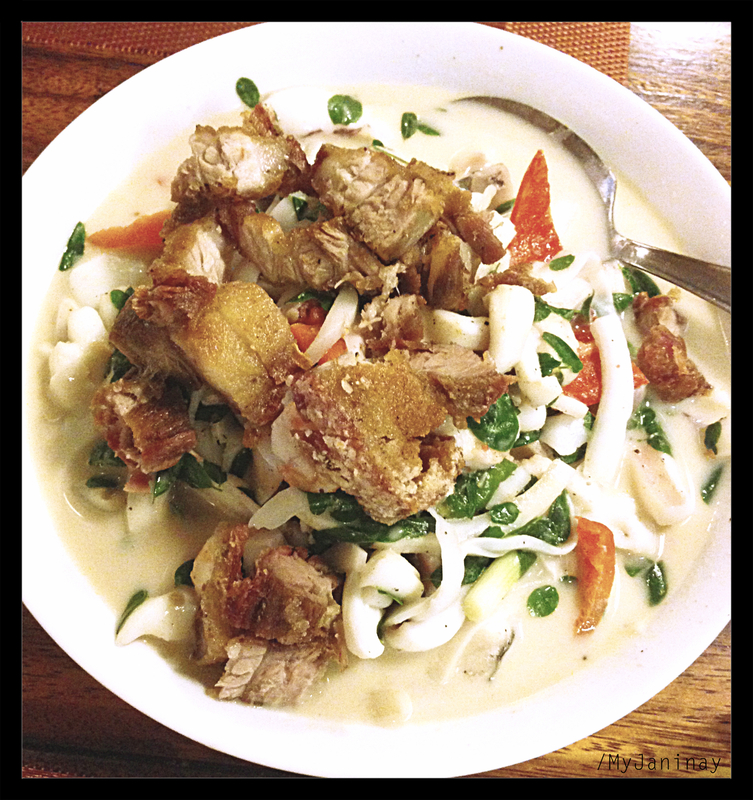 Also check out for my post on travel tips (I scattered food photos there!). I also posted an opinion/reflection-type piece, if that interests thee. Save an evening for these giants – the largest mall, the largest dancing fountain, and the tallest building! They’re all in one area. How crazy is that? You can stand in a spot and see all 3. Haha! Have dinner in one of the restaurants in Souk Al Bahar overlooking it all… And go and have your flavored shisha! 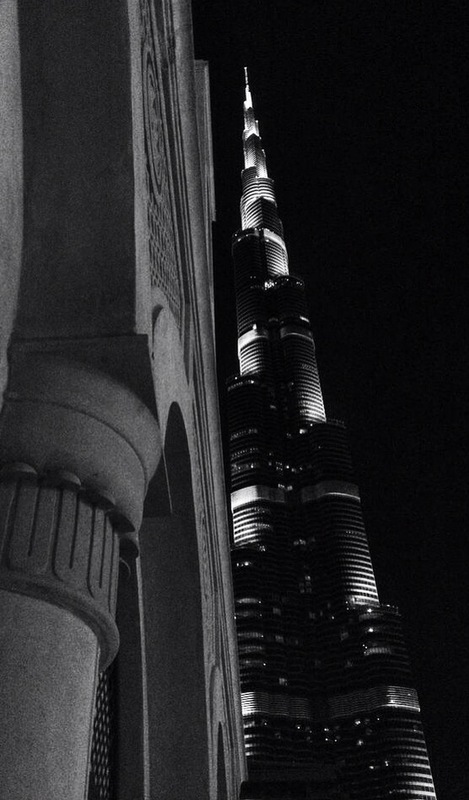 Should you go up the Burj Khalifa? I didn’t. But if it interests you, then go for it! I suggest you purchase your tickets in advance. These two are right next to each other. Bastakiya is a restored neighborhood of past pearl traders from Bastak, Iran. It’s a wonderful peek into Dubai’s history, before all the glitz! If you enjoy learning about a country’s history, I suggest going through the Dubai Museum then making your way to the Sheikh Mohammed Centre for Cultural Learning for a free tour of Bastakiya. Check out the website and give them a call for the schedules. There are little quirky shops where you can get interesting souvenirs! And right on the perimeter is a nice tea place (Arabian Tea House Restaurant & Café) and the camel burger restaurant (Local House Restaurant). Ask around about the Spice and Gold Souks! They’re around the area. I’m sure you’ll take some pretty and colorful photos there. Save half a day or more for Bastakiya. Remember, the heat of the desert takes a toll on you! You may not be able to explore out in the sun as long as you usually do. Photo from the net. Click image for the link. Atlantis is a hotel and entertainment complex located at the Palm. (Yes, the Palm is the iconic palm-shaped reclaimed area you see from ze sky.) One of its facilities is the Marine and Waterpark. The waterpark is loads of fun with crazy tall and winding slides! Plus, it incorporated its marine park so some of the slides have you entering a tunnel surrounded by an aquarium. Pretty trippy! There is another waterpark in Dubai called Wild Wadi. I didn’t get to go to that one. But I was happy I chose Aquaventure instead. Photo from the internet. Click to visit link. It’s important to note that I’m not certain where Atlantis stands in terms of animal rights and environmentalism. They've been criticized by environmentalists for keeping a young whale shark. But I found an article with Atlantis' statement saying they’ve released it. Still. After seeing Blackfish, I no longer wish to go to any zoo or animal park. I'll be supporting animal sanctuaries and nature reserves instead. Work weeks in the Middle East start on Sunday and end on Thursday (Though I believe they used to only have 1 day off per week). Basically, their Friday is like our Saturday. Anyway! A brunch tradition has started in Dubai and loads of hotels and restaurants offer Friday brunch buffets. You can even opt for bottomless champagne! I suggest looking for a place near the Jumeirah Beach Residences (JBR) so you see the shopping boardwalk and maybe hang around by the beach. 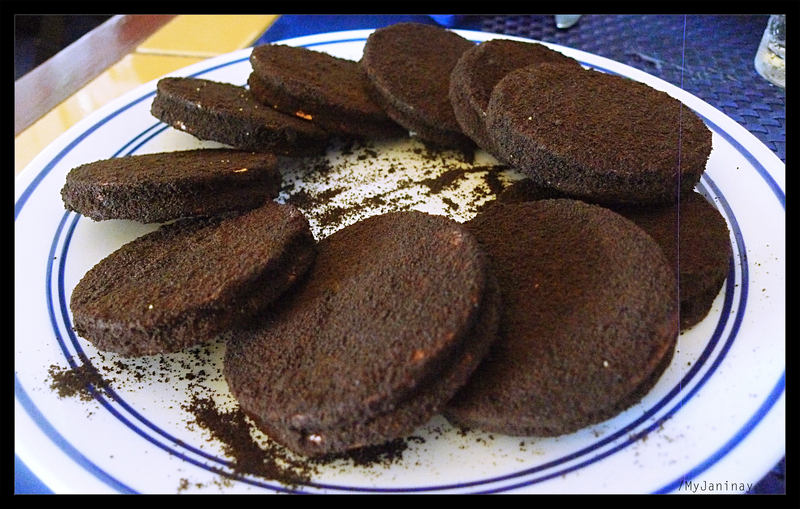 (Yo, Filipinos! There’s a ChowKing somewhere here! HAHA!) Here’s a list of the top Friday Brunch spots in Dubai. The Burj Al Arab is the iconic 7-star hotel in Dubai designed to appear like a ship’s sail. It is also built on reclaimed land and connects to the mainland through a private bridge. Unfortunately, you cannot simply walk into the hotel and see it’s crazy luxurious interior. You would have to pay to see! You don’t have to pay for a room at the hotel, which costs at least USD1800. 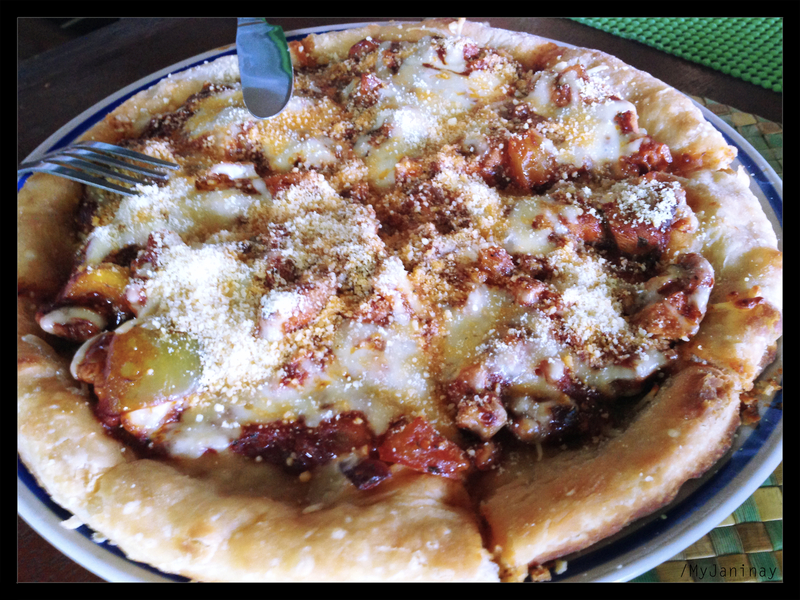 You can, instead, dine at the Skyview Lounge or the Junsui Restaurant. Souk Madinat Jumeirah is an interesting mall near the Burj Al Arab area. There are also some restaurants and pubs. Ski Dubai at Mall of Emirates has the indoor ski slope and other activities if you want to experience snow in the middle of the desert. If you end up in this mall, try out the restaurant “Al Hallab”. 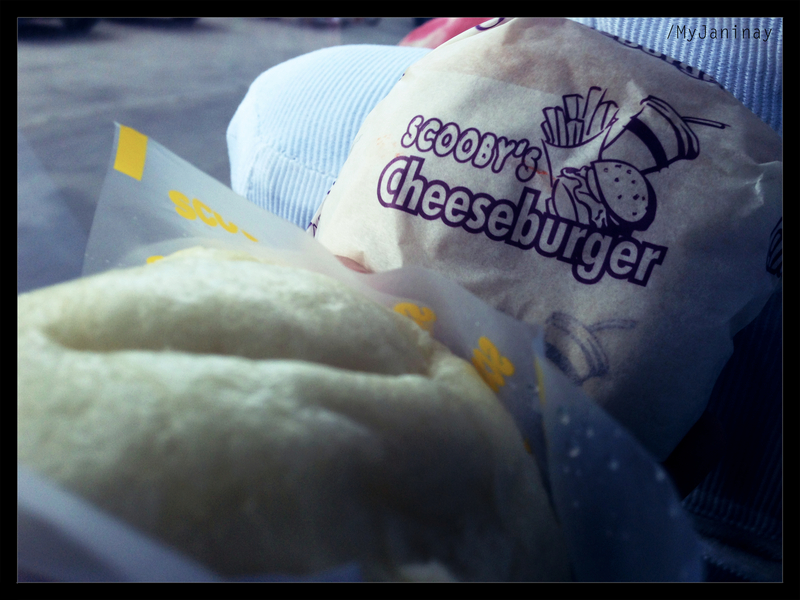 Good food! Skydive Dubai is also an option for you thrill seekers. Ferrari World in Abu Dhabi is another attraction for speed demons and roller coaster lovers. It’s the world largest indoor theme park! Lines can get long, though, so try going on a weekday. 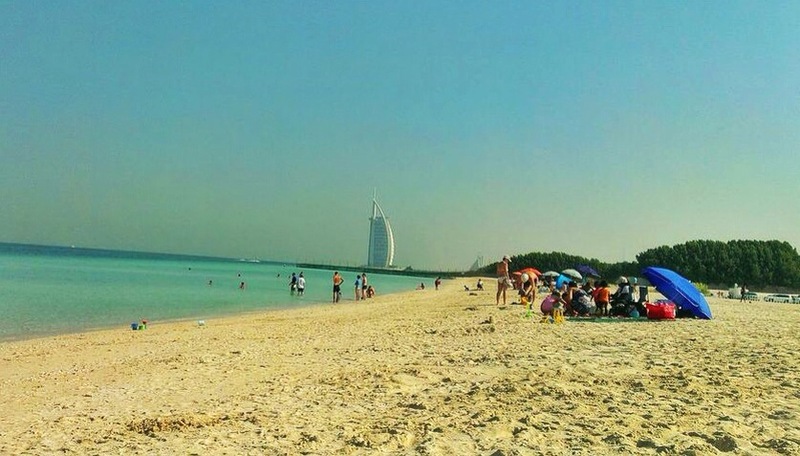 There are other trips you can take outside of Dubai. You can go catch a camel race, for example. There’s the “Oasis City” Al Ain. Or you can step into the future with driverless cars and renewable energy at Masdar City. 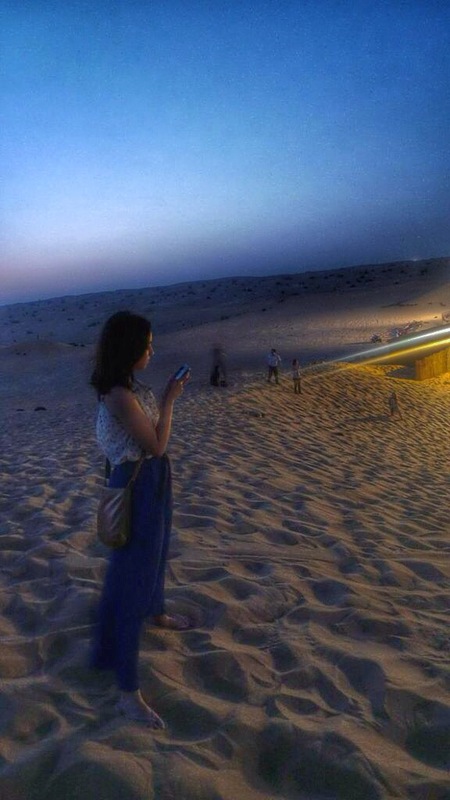 In the Emirates, the sun reaches far into any form of shade. Sunglasses are so much more than an accessory (Seriously, you CANNOT leave home without it.). The slightest hint of rain is a freak occurrence. Water is more expensive than petrol. Black figures floating about mustn’t be stared at. And something grand, humongous, luxurious, and/or opulent greets you in every corner. I found myself in a whole new world, with a new (fantastic?) point of view. This would be my first long project for work and I ended up spending a month in Dubai, occasionally driving to Abu Dhabi. I found myself drawn to the Bastakiya Quarter, a restored historic district. It’s next to the Dubai Museum and the Dubai Creek and is the only place I found teeming with history and character. Get lost in the alleyways and walk into art galleries or pretty courtyards. Stroll along the notable Khor Dubai and listen for the chants from surrounding mosques. Take shelter from the heat at the Arabian Tea House Restaurant & Café. And if you’d like to try something new, just next door is the Local House Restaurant that serves camel burgers! Hands down, my most awe-inspiring moment was visiting the Sheikh Zayed Grand Mosque. I’m not certain I’ve ever seen anything so massive and so beautiful. I could’ve stared at the structures in my burka for hours. I will admit, though, that I was more impressed with the exterior than the lavish rugs and golden fixtures inside. 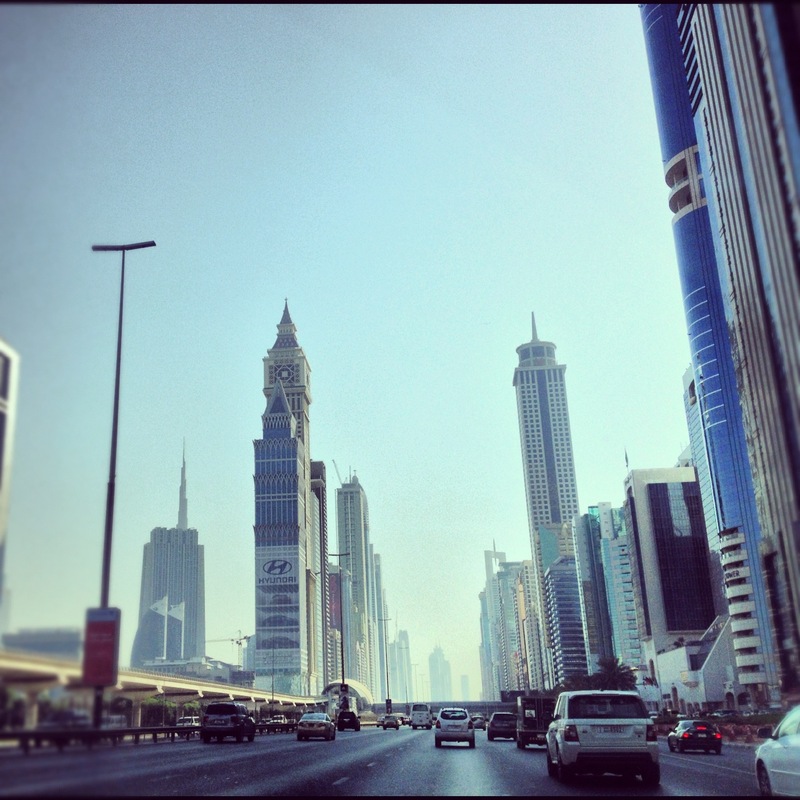 Here’s the thing about Dubai – it overflows with extravagance. Sports cars, palaces, gold and diamonds, designer brands… These are things that many aspire for. But from where I stand, there is no place for this level of excess in a world where over 1.4 billion people live in extreme poverty (living on less than $1.25 per day). Another issue that bothered me was how many Filipinos work in Dubai. It was comforting for me, in a way. You walk around a mall and every store has a Pinoy employee. Hearing the Filipino language is not at all surprising. Plus, I sometimes get perks like better service or an extra refill of my drink just because I’m Pinay. But when I stop to think about it, I can’t help but be both sad and angry about the state of my country. A lot of Filipinos leave the Philippines not because they want to travel or experience what it’s like to live elsewhere. They leave because the so-called opportunities back home cannot provide them and their family a good life. They can do the same work abroad, and get better pay. But could this be yet another mirage? That’s certainly a possibility. I’ve heard a number of stories that lead me to believe so.